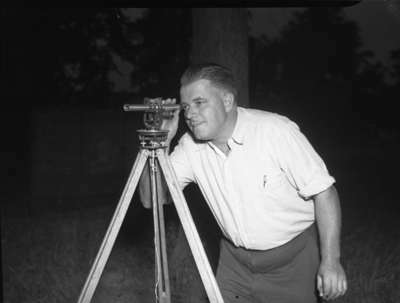 Leonard Racher utilizing surveying equipment. Leonard Carol Racher, 1948, Marjorie Ruddy. Whitby Archives A2013_040_1142.